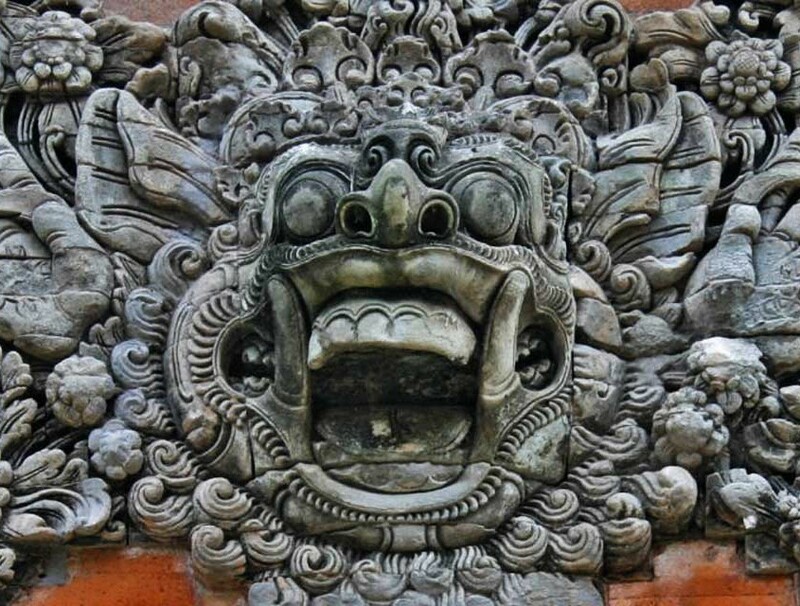 The Pantheon of the Gods of Bali is powerful. What the Greeks call Olympus is Gunung Agung in Bali. Gods and ancestors live here, and there are plenty of them. The most important gods are Brahma, Vishnu and Shiva, who as a holy three-dimensional figure (trimurti) are a manifestation of the highest god Sanghyang Widhi Wasa and are venerated by the Balinese. 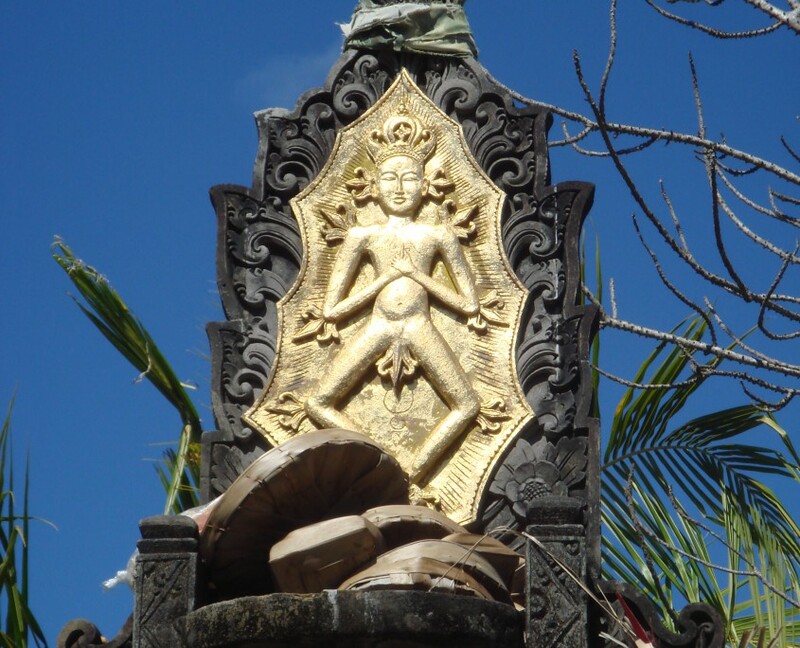 In almost every temple – except for the Pura Dalem – there is a shrine for each of the three deities. Sanghyang Widhi Wasa, the Almighty God, creator of all things and elements, ruler over heaven, earth and universe, is superior to them and all other gods. Often he is enthroned on the highest shrine of the temple as a golden shining dancing god. It is not directly sacrificed to him, but through the other gods – all of which are manifestations of different characteristics of Sanghyang Widhi Wasa. All gifts are ultimately destined for him, even the souls of those who have left the circle of rebirth unite with the supreme deity in the end. Brahma is his manifestation as creator of the earth and the universe, Shiva as creator of death and the destroyer, and Vishnu as protector of life and the living. 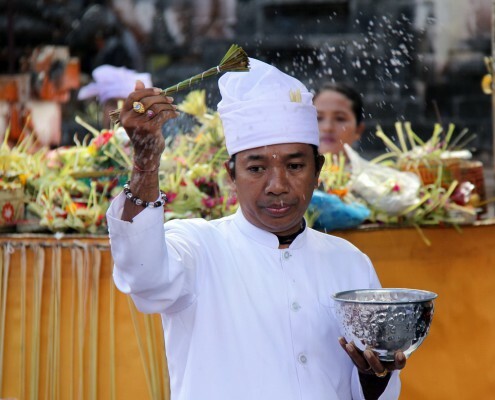 Only through Sanghyang Widhi Wasa could the Balinese Hindu Dharma religion gain recognition in the Indonesian state. Although officially religious freedom prevails, the government recognises only religions which are monotheistic like Islam or Christianity, i. e. worship a God – in Bali actually a thing of impossibility, which is only made possible by the great Sanghyang Widhi Wasa, who stands on an equal footing with Allah. The multitude of gods with their different manifestations is difficult to survey. For almost everything there is a deity – the goddess Mother Earth (Dewi Ibu Partiwi), the god of the sun (Surya), the god of love (Dewa Semara), the god of rain (Dewa Indra) etc. Even more confusing is that every god can appear in different manifestations, which often reflect contradictory character traits. In addition, every male god is assigned a female deity: as divine, creative energy, it embodies the female principle (shakti) of a god. 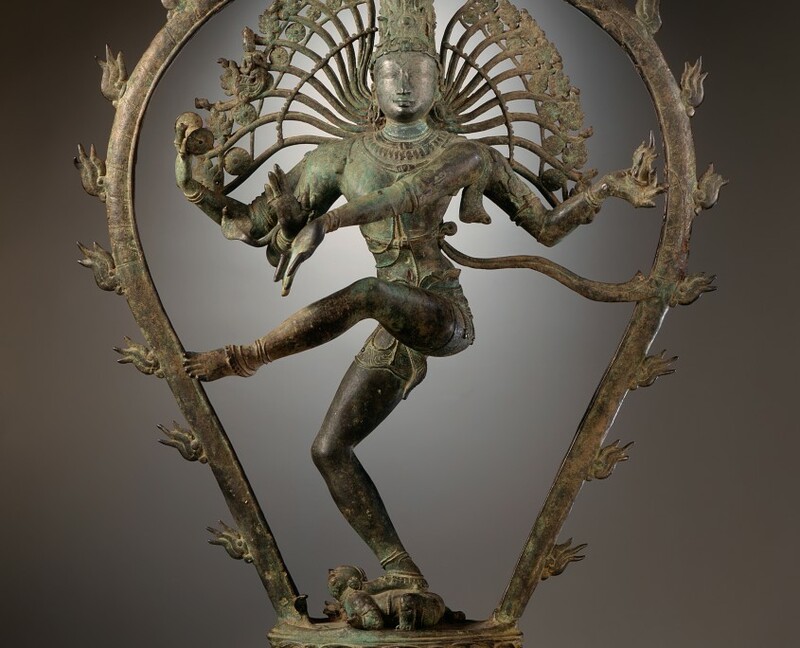 It becomes even more complicated because of the numerous apparitions in which a God can appear – it is not for nothing that Shiva, for example, is called the god of the 1008 names. The four-faced God is the origin of all life. He created heaven, earth, the realm of spirits and the universe as the perfect environment for his creatures. For orientation, he created the cardinal points and defined the four boxes. Together with his wife Dewi Saraswati, who is the goddess of wisdom, art and literature, he brought creativity and knowledge to the earth. Like his wife, he rides on a white swan and rules over the southern direction. Its color is red and the temple of his worship of Pura Desa. 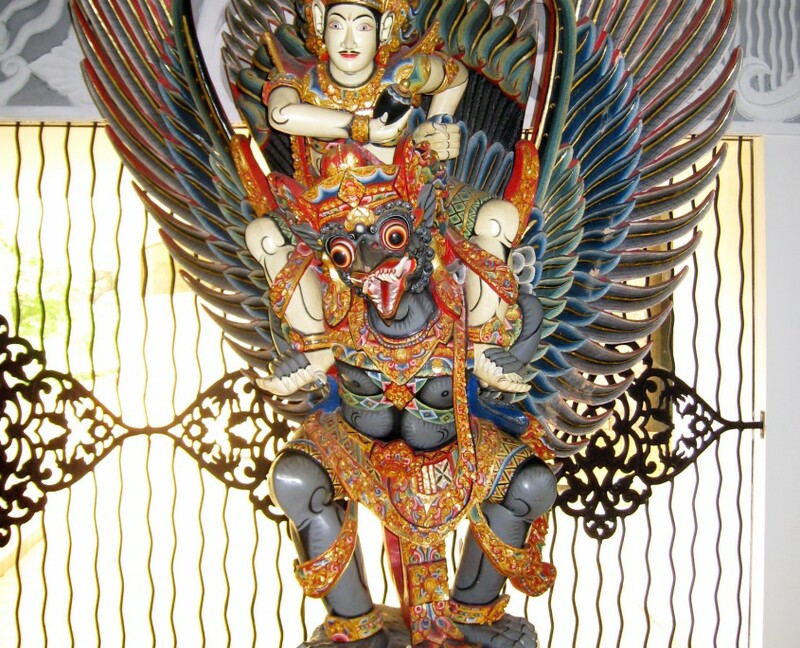 The mighty god Vishnu is impressively depicted riding on the Garuda – a huge, strong bird. He is the keeper and giver of all life. In this capacity, he is an exceedingly merciful God – actually the most merciful of all. In his reincarnation as Rama, Krishna or Buddha he came to the earth many times to help the inhabitants out of great need. In his task he is supported by his wife Dewi Sri – the goddess of fertility and rice – and by Dewi Lakshmi, who brings joy, wealth and happiness to the world. With his weapon, the gada (a kind of richly decorated club), he rules over the northern direction. He is associated with the color black, he finds worship in the Pura Puseh. As soon as Vishnu no longer protects something or the time of a being has elapsed, Shiva closes the cycle of life. He is the destroyer of the world and brings everything back to its original state. But he also cleanses the world of evil. Like Vishnu, the mighty God appears in various manifestations: as Kala he reigns at the time of death, as Maha Dewa – the god of the holy mountain Gunung Agung – he is the leader of the gods, as Surya he is the sun god and as Bhatara guru, the great teacher, he shows people the way to renounce sin. He often rides a bull. 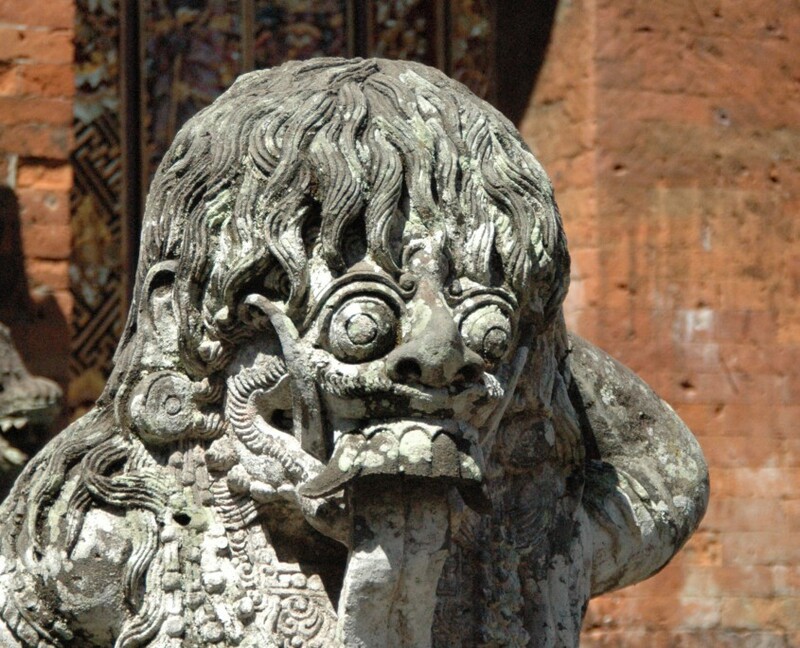 He rules the universe and is worshipped in Pura Dalem. His color is white. 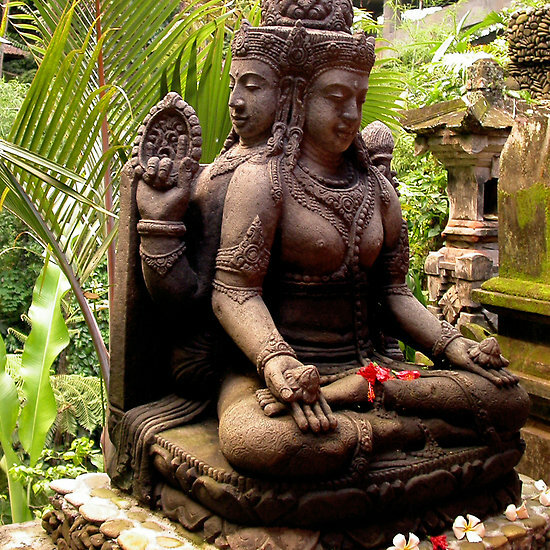 Dewi Durga is one of the manifestations of Shiva’s wife Dewi Parwati, along with Dewi Uma. When the God of Destruction wanted to retreat for meditation, he asked Dewi Uma to take care of his newborn son. When the child was injured, Dewi Uma was gripped by a tremendous thirst for blood and couldn’t resist the overwhelming desire to lick the child’s blood and devour the baby. When Shiva learned of her deed, he turned the beautiful Dewi Uma into the demonic Dewi Durga and ordered her from now on to guard the cemeteries. Thus, the Mother of God, the goddess of light and beauty, became the goddess of death. In her form as a black witch Rangda she brings disease, illness and death to the living. In addition to these two manifestations, Dewi Parwati can manifest himself in the most horrible and cruel of all deities, Dewi Kali. Dewi Durga is often depicted as a ten-armed creature, but even more often as a child devouring shower figure with claw-like fingernails, long hanging tongue and unspeakable hanging breasts. 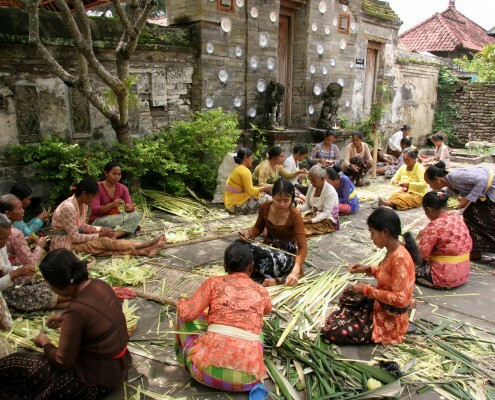 Their worship takes place in Pura Dalem. Intention and attitude of the person entering. Bhoma protects the buildings and keeps evil away. Very sympathetic and highly educated is the God with the extraordinary head. He owes this to his father Shiva. His mother Parwati created the son to protect her privacy. When she wanted to take a bath, she instructed the young man not to admit anyone. Ganesha stood guard and refused Dewa Shiva entry. He was so furious that he knocked off the head of his son, who was unknown to him, in battle. When Dewi Parwati saw her dead son, she was terribly angry and explained to her husband who he had just beheaded. He took the head of the first being that came under his eyes and put it on the torso of Ganeshah. As you can easily see in the numerous illustrations, this was the head of an elephant. 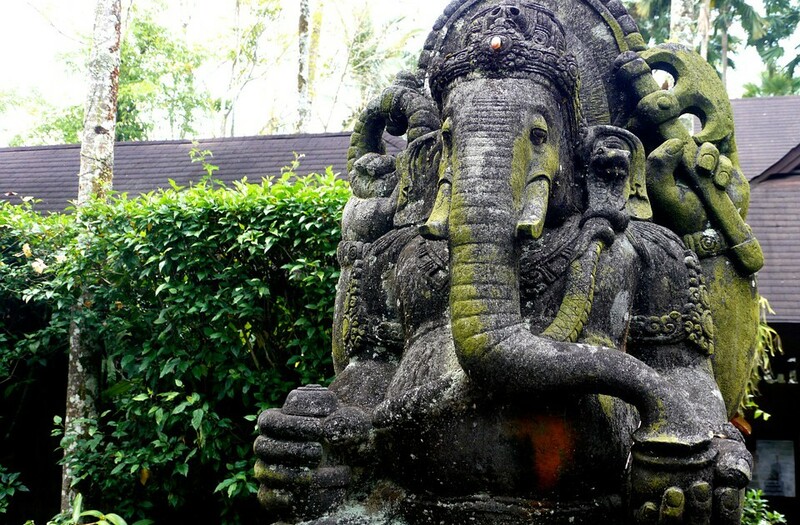 The Balinese ask Ganesha for help to make their plans a success, and he often protects the entrances of the islanders – just like his mother’s room back then. 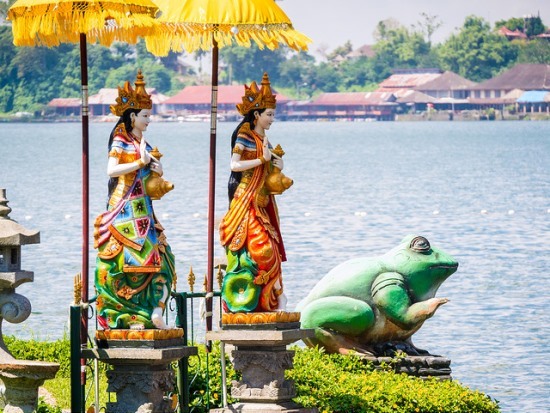 The goddess of water, lakes and rivers is especially worshipped in Bali. It feeds the fields with life-giving water. From the springs of Danau Bratan, their residence, water is extracted, which is transformed into thirta important for many ceremonies. In the Pura Ulun Danu Bratan she is revered by all Balinese.